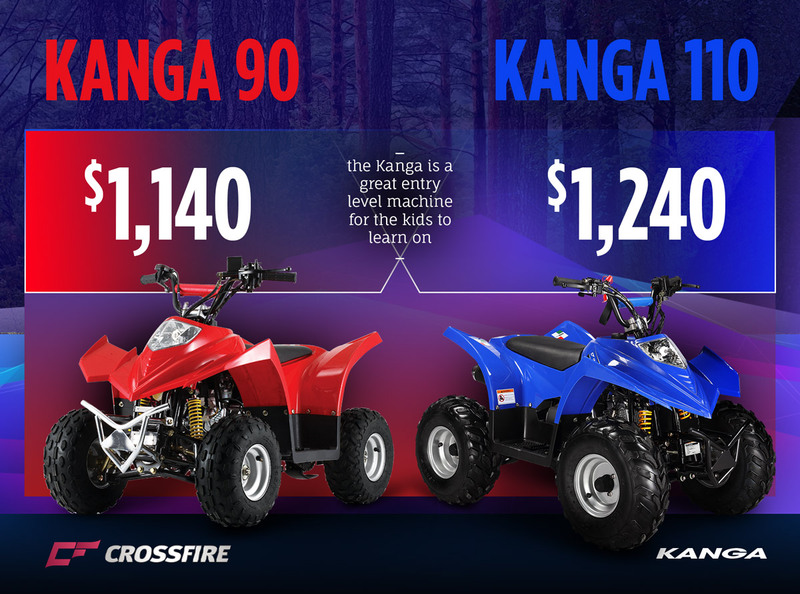 Sydney Office in Prestons is closed Easter long weekend, Friday 19th April to Monday 22nd April. 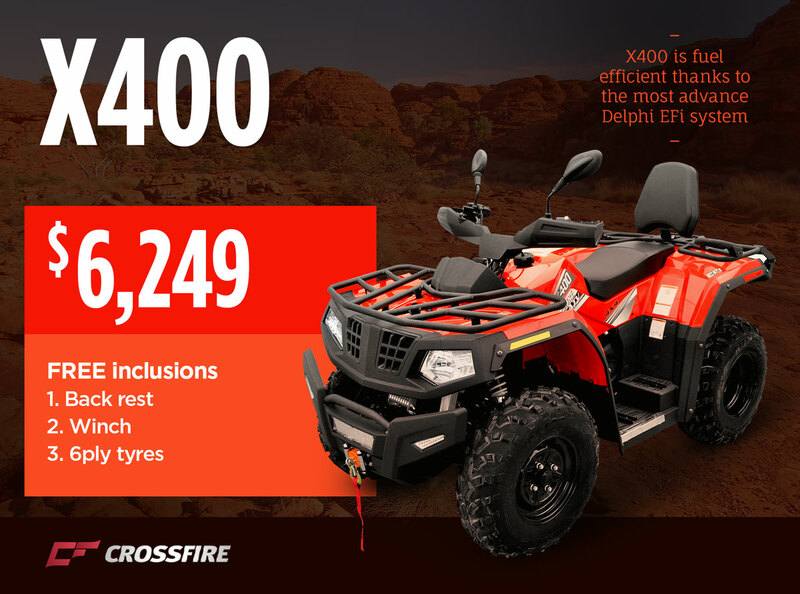 The Crossfire Territory 500cc ATV is a ground up new machine with a completely new engine EFI induction as well as a wider and bolder stand. 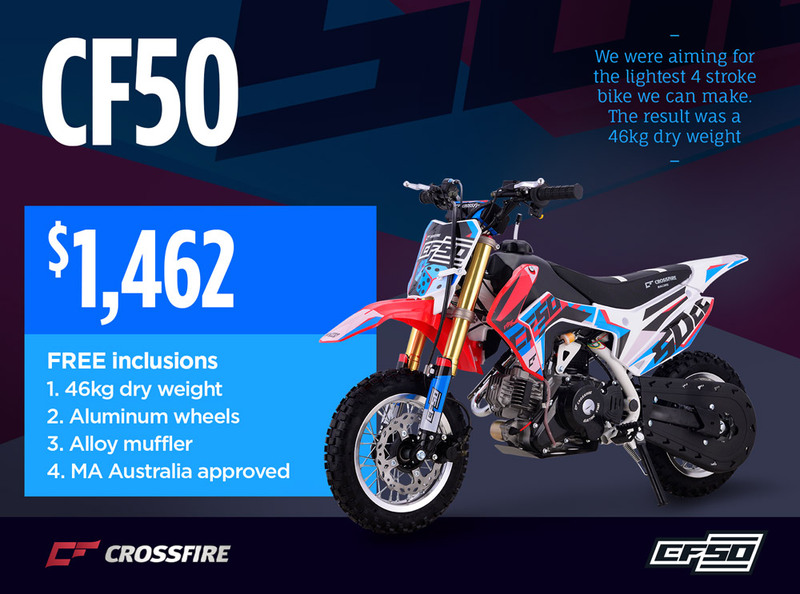 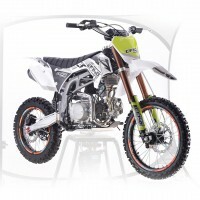 Crossfire Motorcycles have dealers all around Australia. 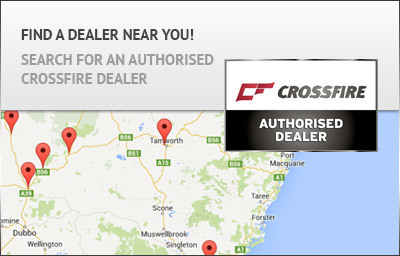 Find the closest authorised dealer to you. 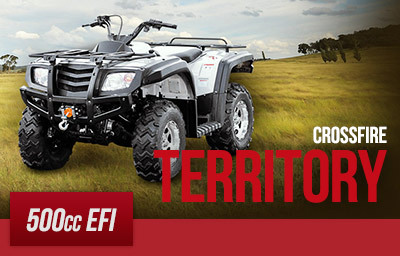 Subscribe to our newsletter for up-to-date news, information and new releases. 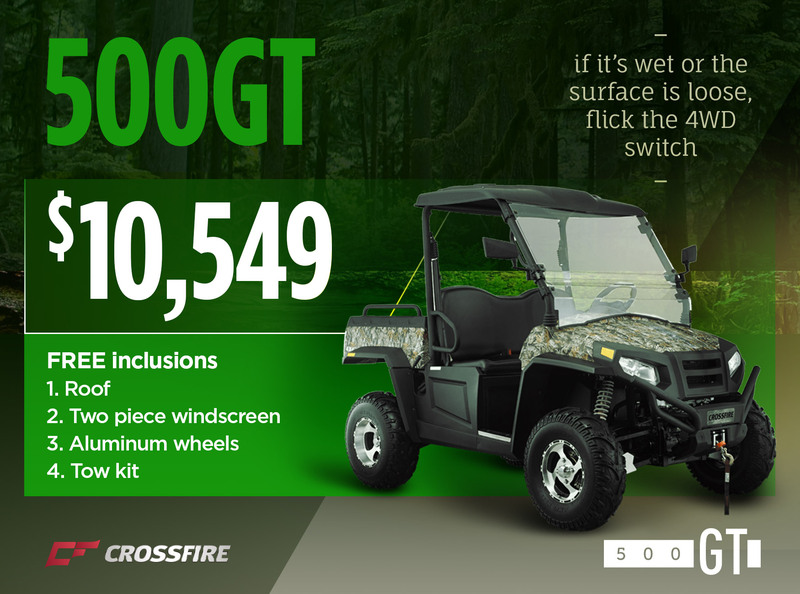 Purchased a Crossfire product? 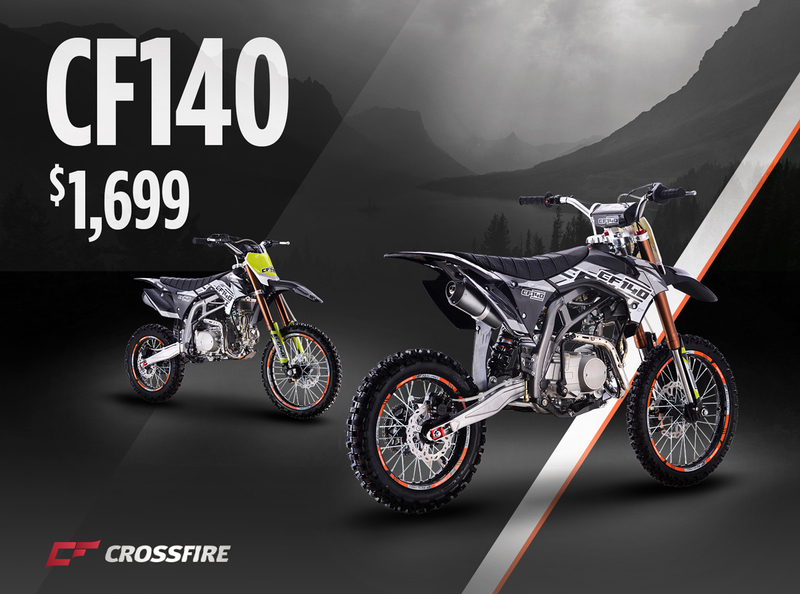 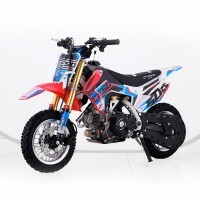 Register your Crossfire Motorcycle / ATV for warranty purposes below. 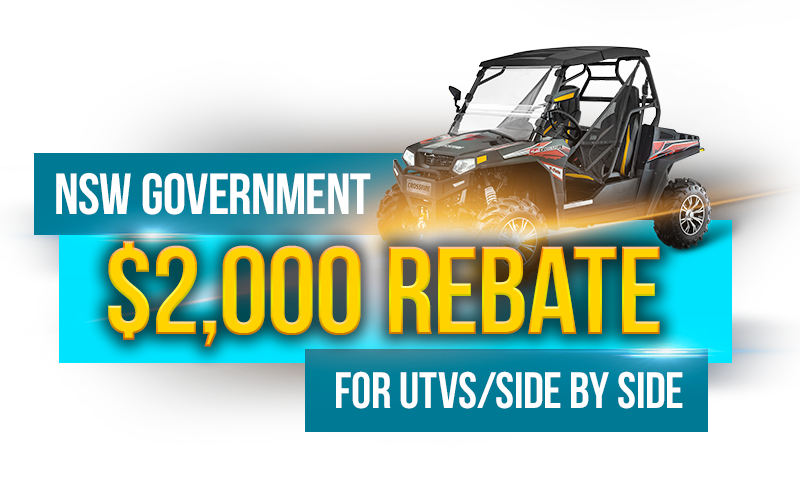 NSW Government $1000 rebate for UTV / Side By Side.